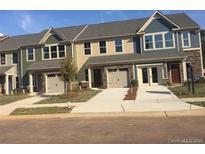 Find Stallings, NC Condos for sale. View Photos, Maps and MLS Data Now! Stop in and take a look today! ! MLS#3496049. OfferPad Brokerage LLC. But hurry it will be gone soon! MLS#3460265. NVR Homes, Inc./Ryan Homes. Tile in both upstairs bathrooms. One car attached garage! MLS#3458083. NVR Homes, Inc./Ryan Homes. But hurry it will be gone soon! MLS#3457672. NVR Homes, Inc./Ryan Homes. But hurry it will be gone soon! MLS#3457163. NVR Homes, Inc./Ryan Homes. GPS Address: 3700 Old Monroe Road. MLS#3393860. NVR Homes, Inc./Ryan Homes.